How do you know if your child is struggling with a learning issue? Learn to read the clues. What do tears, rhyming, storytelling, and gripping a pencil all have in common? Don't answer. Just imagine this scene: an 18-month-old falling on the ground and bawling over a lost balloon. Normal, right? Maybe not a lot of fun for the person trying to explain that the balloon man closed his stand for the day. But it might elicit a sympathetic smile from a passerby. Toddlers will be toddlers, we understand. Now, picture the same child collapsing into tears because a balloon slipped from her hand eight years later. Not the same situation, despite the fact that it's the same person experiencing precisely the same frustration. Time has passed and with it our expectations of appropriate behavior have changed. When does a tantrum turn from difficult to diagnosable? We all know that the meaning of the behavior changes radically with the age of the child. But when it comes to our children, it can be difficult to see. As parents, filled to the brim with worry and love for our ever-changing children, we easily get caught in a limboland of wondering: Is that normal? Should she still be doing that? Her brother never did that — maybe she's got an issue. The common factor in the laundry list above? All can be clues that a child is struggling with a learning or behavioral issue. So says Steven E. Curtis, author of the book Understanding Your Child’s Puzzling Behavior, and a licensed child clinical psychologist specializing in the assessment and treatment of children with emotional, behavioral, developmental, and learning difficulties. He offered to walk me through the first signs and symptoms of a learning disability for kids in preschool through high school. Preschoolers’ normal behavior ranges from very civilized to utterly silly to something akin to wild animals. How can you observe such complicated little creatures — who don’t usually read or do math — and know which of them will have learning issues in the future? One of the first things you want to look at is whether a kid can listen to stories and comprehend language. Most learning disabilities are language-related, so this is the best place to start. Another early indicator is the lack of ability to distinguish phonemes — the basic sounds that make up words. If kids have trouble understanding these differences, then they’re at risk. A lisp is one of those things that is common but is also a red flag. If kids have lisps, it might be because they’ve had frequent ear infections — so they literally can’t hear. If it goes on for too long, they can have trouble differentiating sounds. So when kids have speech issues, you should always have their ears checked. It could be the tip of the iceberg. It could be a motor issue, or it could be a cognitive problem — due to not understanding certain sounds. Another red flag is not paying attention. With some kids it seems like their minds are always wandering, and when you see that kind of behavior — especially when it’s related to not attending to stories — it can be a huge sign. If they are always headed for the dress-up corner during storytime, or if they look at you blankly when you talk to them, it can signal that they have a language-processing issue. 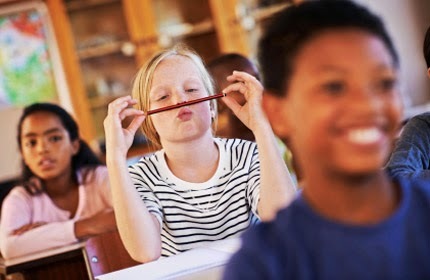 Kids are sharp — they have fresh brains hungry for information, so when they don’t express curiosity, it can be a sign they just aren’t understanding. One simple way to check on your kid’s language development is to read them the story and ask them what it was about. If they are clueless, it’s a predictor of a language and learning problem. Another sign of an issue is if they are super-hyperactive. If left to their own devices, they will tear apart the place. For kids with AD/HD, you notice that even before they have learning issues, they don’t attend to stuff; they can’t slow down. Even though these kids are bright in other ways, it’s hard for them to learn because they can’t sit still. Kindergarten: Is it too early to catch a reading disorder? What are the primary warning signs for children in kindergarten? Is it fair to judge them on their academics since some kids develop more slowly? Kindergarten is a time to start getting to the basics, so though they may all not be reading, there are certain benchmarks to keep in mind. They should be learning the alphabet as well as the sounds of the letters. They should be learning to count. They should also be developing their fine motor skills: learning to copy words, cut paper into shapes. Most kindergartners begin to read simple words too. Finally, parents should continue to look at their children’s ability to understand stories. Those are the main indicators: Do they have their sounds, numbers, and letters? Of course, you might not hear much from your teacher if your child isn’t reaching these benchmarks. I used to teach general education teachers. The philosophy they’d been taught is “wait and see,” but the research suggests that if you catch this stuff early, you get better results. With language, you’ve got to hit it early — or kids get left in the dust. For instance, a preschooler and a kindergartner will learn phonemes better than a first and second grader]. Once you hit first and second grade, you start going into content reading, and so kids who are still struggling with learning to read have a harder time. There’s an idea in general education that learning to read is like osmosis — and it’s true! Most kids learn to read and write with very little instruction. About 80 percent learn like that, but the other 20 percent don’t learn that way. They need it broken down and need it to be taught. It’s clear that we can impact this 20 percent with early intervention. With intensive instruction, they can get on track early before their self-esteem takes a hit. Kindergarten is also the age when some kids are having trouble reading because they are having trouble seeing accurately. Sometimes their eyes aren’t tracking or they are not focusing on the page. If your child is having trouble with early reading, it’s worth having their eyes checked too. Parents of first- and second-graders are typically watching their kids deal with more homework and lots of new academic demands. Suddenly you can find you’ve got a kid who loves reading and hates math or loves complicated science ideas but can’t seem to write a three-word sentence. First-grade standards vary widely by district, but at this age kids should be reading words and simple sentences. At this point, they need to learn their phonics —the ability to sound out words. And they should have a good number of sight words — say 100 — by the end of first grade. In the first few months of first grade, not all kids have this, but by January or February if they are not reading, you start getting really worried. You also want them to have fine motor control — they should be able to copy words, write their name, do simple drawings, and hold their pencils. If they have trouble picking up a pencil and writing anything down, that’s a red flag. Another warning sign is kids who are frustrated and angry and inattentive. It may not be “acting out” but a behavioral reaction to what they are being asked to do. At this point, kids should be able to listen to teachers and follow multi-step directions. It’s also the age when they are beginning to organize themselves. (Though a lot of boys don’t organize themselves at a young age.). Being able to sit still in circle time is another benchmark. In second grade, kids are expected to write longer sentences as well as short paragraphs. It’s also important that they develop verbal expression. They should be able to talk about themselves and what they are learning. Can you trust your school to assess your child? The saying goes that during third, fourth, and fifth grade one switches from “learning to read” to “reading to learn.” What happens in this age group that signals learning issues for parents or teachers? The red flags for third and fourth grade are actually similar to those for lower grades, but the expectations are higher. For instance, if kids can’t attend, can’t sit in a classroom, if they start having emotional and behavioral reactions or not liking school, these can all be red flags. If they don’t have persistence in doing things that are hard for them, they may suddenly stop following the rules. At this age you may see a decrease in school motivation. A lot of kids who didn’t get identified as having learning disabilities earlier have been actively compensating all these years. They can be very slick at hiding things. I recall one fourth-grader who was good at faking everything — he was reading at a first-grade level, but no one knew. There are a lot of cover-up artists out there. A lot of these attractive, personable kids learn how to get people off their backs. By fifth grade, kids start to have trouble if they haven’t developed persistence. Kids need to know that part of learning means working through hard things. I really can’t emphasize enough how important persistence is. I knew one kid with Down syndrome who was so tenacious — who stuck with it and stuck with it — she ended up reading at the level of her peers. On the other hand, there are kids who have the intellect but give up. Parents contribute to this because they don’t want to let their kids get frustrated — if you have this idea that all learning is fun, then they aren’t going to work through the hard stuff. Parents need to know the benchmarks. By fourth grade most kids can read aloud, and they can do spontaneous writing. If you’re worried that your child has a learning issue but you haven’t heard anything from the teacher, should you assume everything is OK? I don’t know how to say this, but I would not trust any school to give an accurate assessment of your child’s skill. You’re the parent. There are a lot of trained teachers who can miss problems. If it was me as a parent, I would start the process of trying to assess my child, but then I would probably get some outside help. What happens in middle school? What are the signs that your child might be struggling with something beyond the huge transition from elementary school? One major sign is not being able to handle their complicated schedules. At this point, they have multiple teachers, and so this is the time when kids with LD suddenly have trouble with organization and turning in homework. With kids with AD/HD and ADD, you start hearing about social issues. The same goes for Asperger’s disorder, a subtle form of autism. You may notice your child is having a lot of trouble in and outside the classroom. In elementary school you’ve got these nice and gentle teachers who may adapt to your child’s learning style. In middle school they may not be as tolerant, if your child can’t work in groups, for instance, or doesn’t understand nuances of socialization or pragmatic language. It may become a problem for them academically. Of course there’s more social politics, and certain kids may have a harder time with that stuff. There’s less emphasis on “We all need to get along” than in elementary school. Are there really kids who don’t get diagnosed until middle or even high school? Sometimes I see parents who may have homeschooled their kids or may be in denial that something is wrong. Sometimes it’s just that the child is having trouble making friends. Sometimes it’s more subtle problems that finally become apparent. The kids may not test low enough to qualify for services [earlier on], but they are now struggling with writing, organization, and completing things on time. Suddenly they’re under a mountain of work they need to do. In high school sometimes the trigger is the college application process. It’s hard to get into college. Kids start losing interest in school — they get into drugs — and there’s this anxiety around getting into college. Do you see kids in high school coming in for assessment? Definitely. We actually diagnose a lot of people during their first year of college. Theoretically, the first year of college is harder than high school. Certain hardworking kids put all these hours in, so they make it through high school, and then college is more than they can handle. Suddenly they wonder: Do I have a problem? Sometimes they’ll learn that they are slow processors or that they didn’t learn phonics. They managed to figure out content from the context, and they worked so hard — but they don’t know how to sound out or they’ll realize they don’t have the basics of writing down notes. They’ll say, “It’s hard to form things with my pencil." There are these bright hard workers who can get through high school, but the reality is that they have a learning disability.